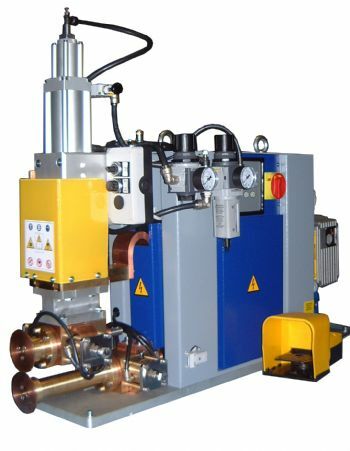 A new model machine conceived, designed and built specificaly for a particular client but suitable for general use. Available as 15, 25 and 35kVA capable of welding up to .8 + .8mm thick mild steel. Inverter motor drive - variable speed.